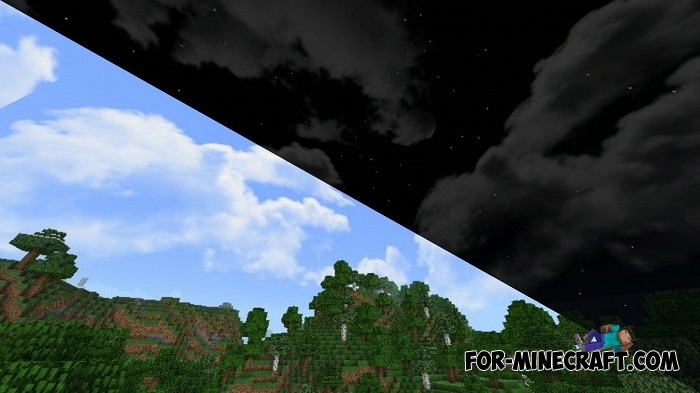 No, this is not a Minecraft PE shader as it might seem from the title. TMSI is a set of modern textures that replace obsolete objects with more modern options. 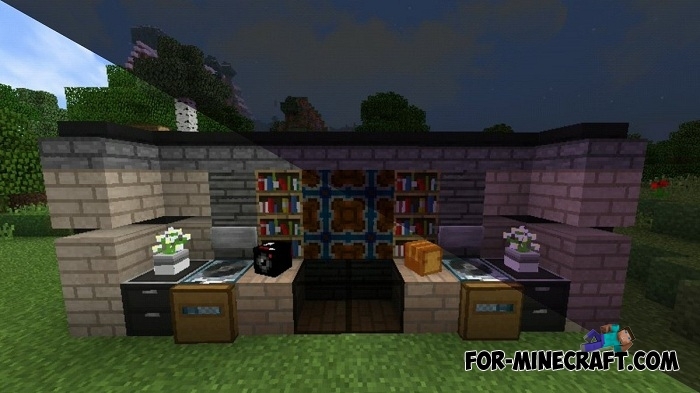 For example, the resource pack brings new shelves, bookcases and other accessories, doors of different materials (there is a glass door that perfectly matches with the mansions). Particular attention was paid to the sky and clouds, as well as liquids. 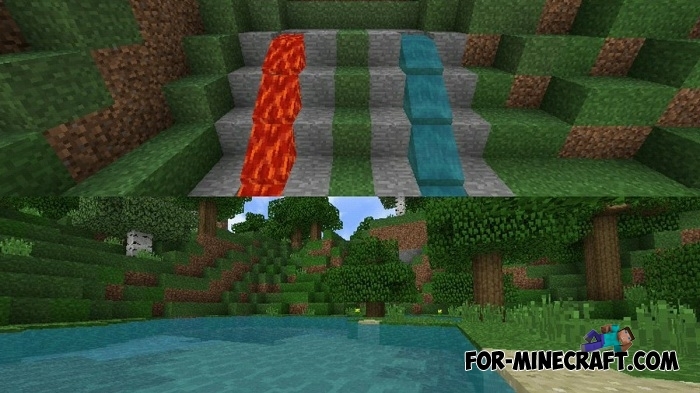 All this looks an order of magnitude better than vanilla textures and is well suited for maps with story and passage. How to install the TMSI textures?